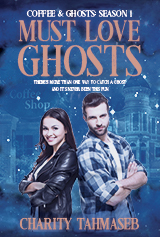 So, this week, I formatted all the Coffee & Ghosts books for large print. And if not for that incident at Bowker, I’d have a block of ISBNs, and the titles would already be available for purchase rather than sitting on my hard drive. I consolidated my notes on the manuscript revision, wrote out questions I need to answer, and now I’m banking it for later. Why? Well, I’ve gone as far as I can for the moment. Also? It’s been exactly three months since I finished the second draft of The Trouble with Necromancers. It’s time to start again and get this new series out the door. That’s right, 2019. I’m looking at you.